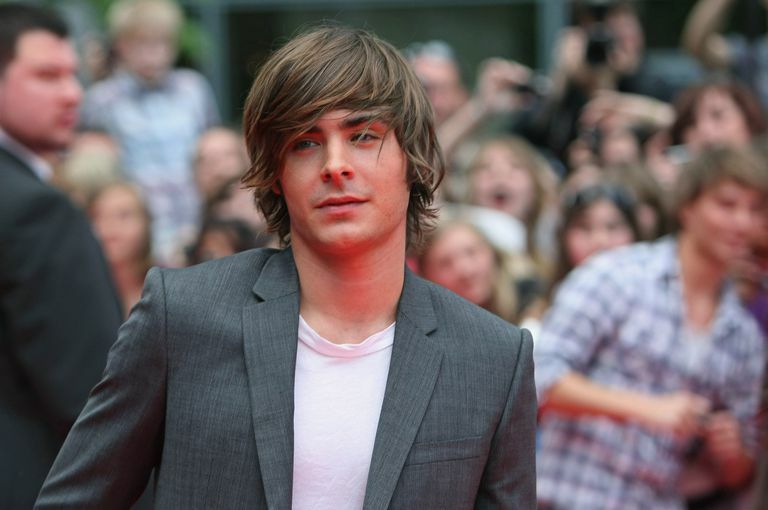 What was the biggest men's hair trend of the 2000s? That's hard to answer. Perhaps one standout theme would have to be "low maintenance" hair. Guys were buzzing it off or wearing it long and shaggy -- cool looks that were easy to maintain. While there were really no defining trends in men's hairstyles between 2000 and 2009, there are a few that stand out. Here are our favorites, in no particular order. While there's not really one haircut that could be considered an Emo cut, the trend is characterized by long razored bangs, black dye, and rough texture. Most of the haircuts of Pete Wentz of Fall Out Boy would be considered Emo, although Pete himself declared the death of the Emo Swoosh when he buzzed his hair off. One of the hotter trends of the 2000s was the short texturized cut. The hair is normally cut aggressively short on the sides and back while the top is point cut with shears or cut with a razor to add aggressive texture. Taylor Lautner's short cut is a prime example of this style -- a look that appears casual, but requires a bit of effort. The 2000s also saw the emergence of a subtle mullet style. These are not your Billy Ray Cyrus Achy Breaky Heart Mullets from the early nineties, but more subtle and better blended variations. The Mohawk is certainly not new, could be spotted much more often by 2009. This is not a Faux Hawk, the Mohawk is shaved skin tight on the sides, leaving a strip of hair from the forehead to the base of the neck. This is the kind of haircut worn by guys who kick sand in the face of Faux Hawk wearing wannabes.